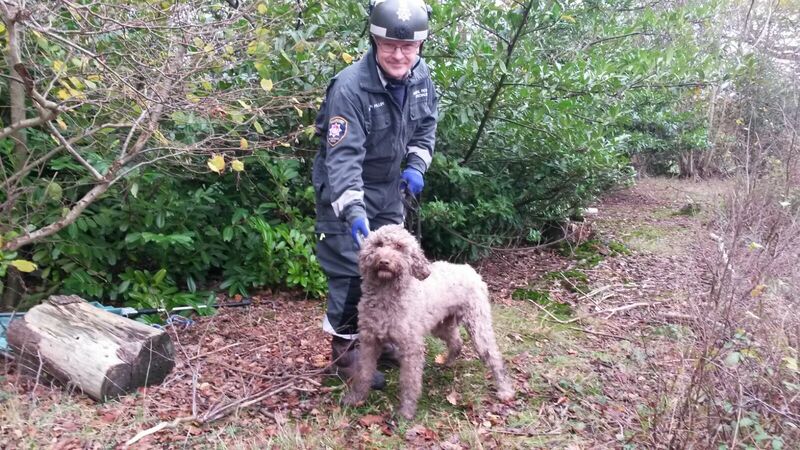 An overnight dog hunt had a happy ending as a four-year-old labradoodle was pulled safely from a well in Eastleigh this morning. Lily had gone missing while being walked in woods off Chestnut Avenue yesterday afternoon, sparking a hunt that carried on into the early hours and spread into a social media appeal on Facebook. As the search resumed this morning, a whimpering was heard coming from a brick-lined well in a wooded area off Nightingale Avenue. 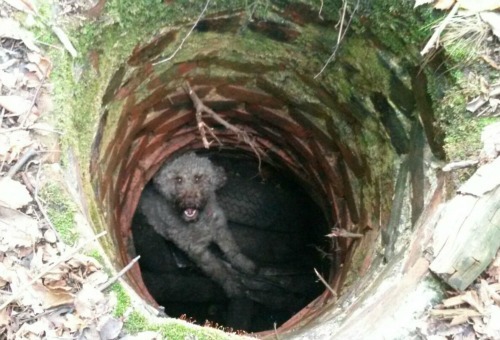 Lily was spotted 2m down the well and a Hampshire Fire and Rescue Service animal rescue specialist was called. An extendable pole was lowered down to the desperate dog and a noose carefully looped around her shoulders, before she was pulled to the surface and reunited with her grateful owners just after 10am. 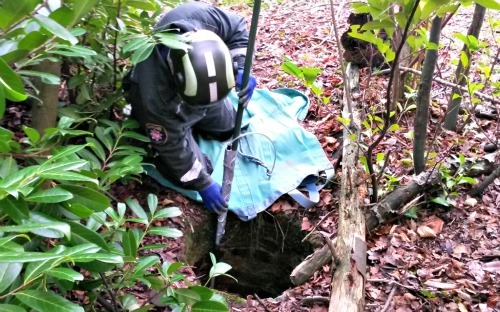 “Lily is one lucky dog as she landed on a log around 2m down, when the well is likely to have been a lot deeper than that. “The extendable tools we now have thankfully meant I could get her out relatively easily on my own.